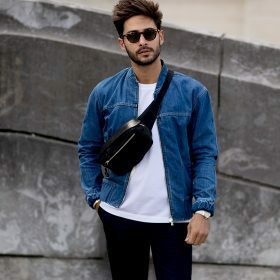 Durable cotton-blend denim furthers the always-cool attitude of a jacket styled with simple detailing and garment-wash coloring that just gets better with age. Style Name: Rag & Bone Definitive Denim Jacket. Style Number: 5716583. Available in stores.